Cascando Pillow Acoustic Furniture by Robert Bronwasser. Pillow by Cascando is a functional collection of acoustic furniture, a series of panels with several advantages including improved room acoustics. 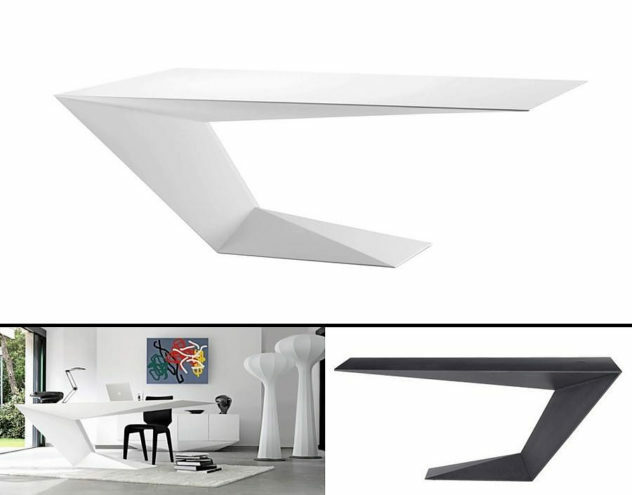 Furtif desk is a striking futuristic piece of furniture with bold prismatic form designed by awarded French designer Daniel Rode for Roche Bobois. 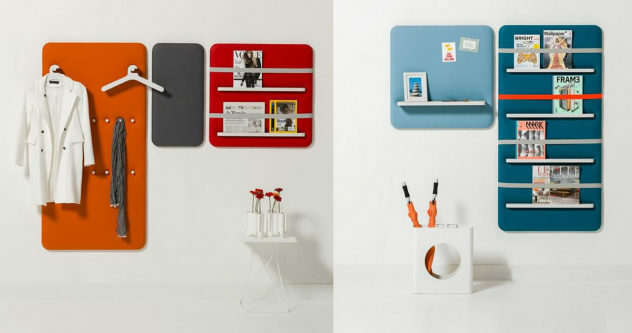 The Torque Desk by I M Lab. The Torque desk by I M Lab designers is the Avant Garde take on the traditional metal desk with minimal aesthetics and awesome-looking revolving drawers. The Enignum sculptural wooden furniture by Irish designer and artist Joseph Walsh look like they have escaped from the pages of a storybook. 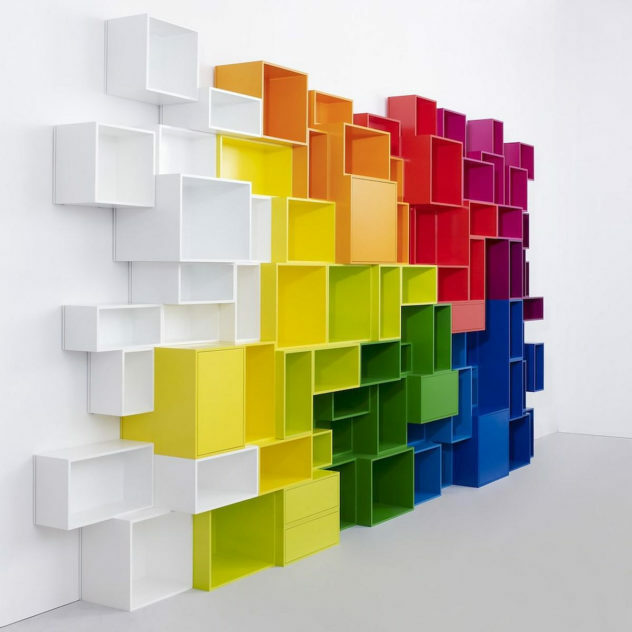 Cubit Modular Shelving System is a functional bookcase and simultaneously a unique decorative proposal. It offers thousands of combination possibilities. 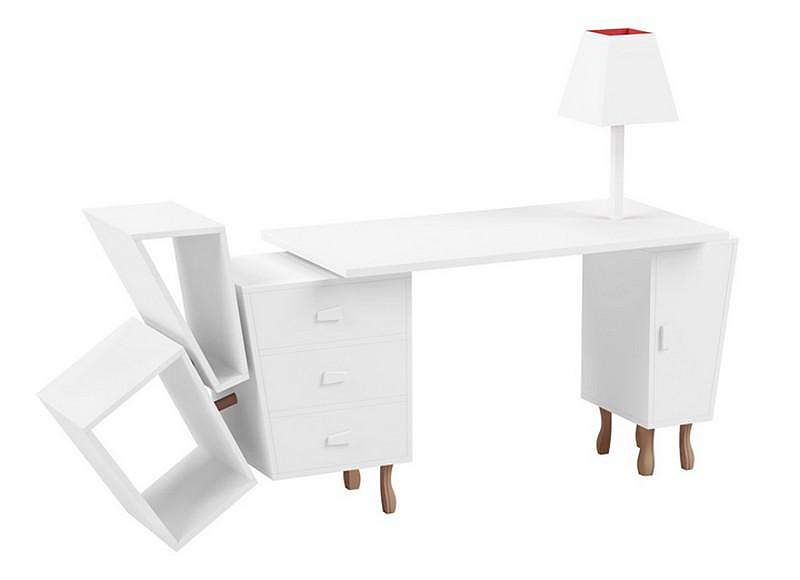 Unusual Desk, Kenn Desk by Kenyon Yeh for SELETTI. The Kenn Desk, designed by Kenyon Yeh for Italian manufacturer SELETTI is a very unusual desk, with truly unique styling and flawless ergonomics. 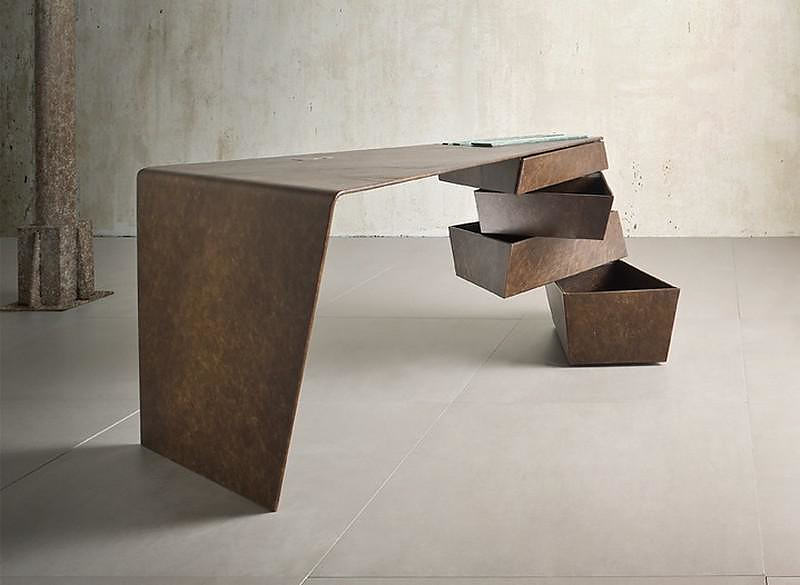 Nevada Desk by Alberto Danese for Cattelan Italia. 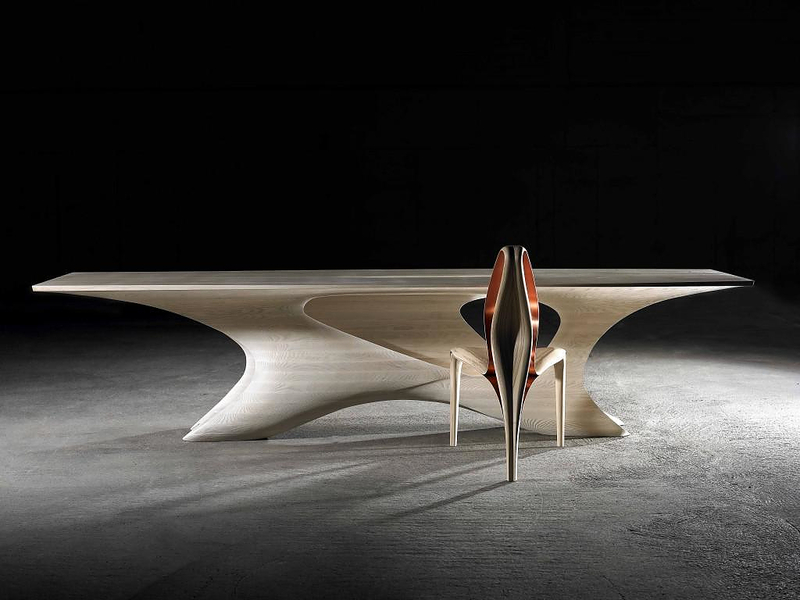 The Nevada desk by Alberto Danese for Cattelan Italia is a stunning combination of futuristic and organic design, a unique desk made of premium materials. 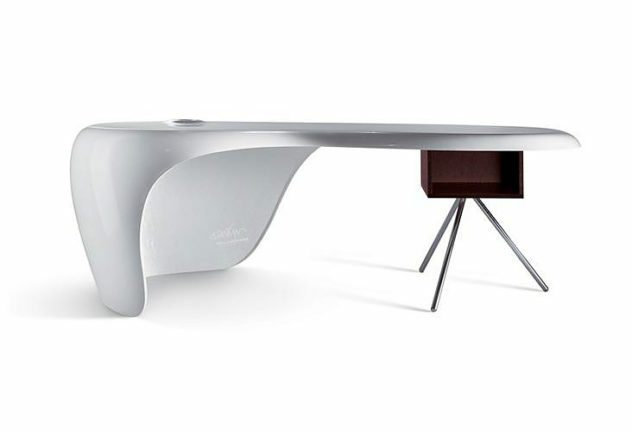 The Uno Desk is a distinctive piece of furniture designed by Karim Rashid for Della Rover. its unique shape makes it ideal for use as a reception desk.